Fine summer mornings are ideal for leisurely outdoor meals of fresh fruit, endless cups of tea, and warm slices of a lovely loaf cake like grapefruit bread, bright with citrus flavor and fragrant with cardamom. Whether you’re looking for something special for a Saturday morning breakfast, or a hint of sweetness for Sunday morning brunch, this grapefruit bread is just the ticket. It is wonderfully moist with a tender crumb, and stays fresh for several days if you keep it in a airtight container. It has the dense, buttery flavor of a grapefruit pound cake but with a satisfying, chewy texture thanks to the addition of rolled oats. 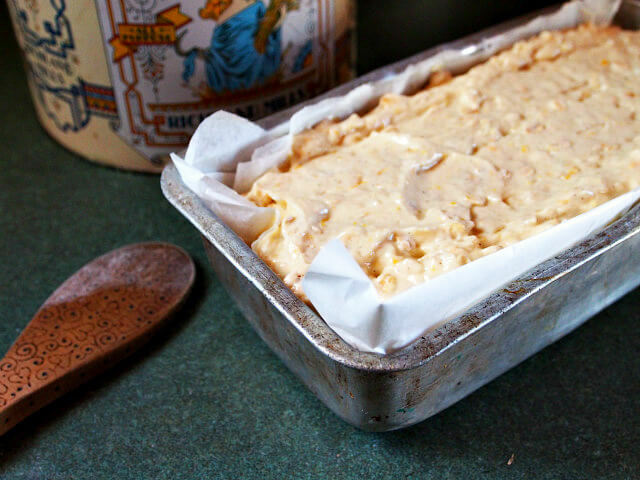 It’s more like a grapefruit yogurt cake, citrusy and creamy, with enough substance to keep you going through the sun-drenched activities of summer. It’s a quick and easy bread to make. Set out one large bowl for the dry ingredients, a medium one for the wet. Mix them both well, then stir them together just until moistened. To ensure a tender grapefruit bread, take care not to overmix the wet and dry ingredients. I like to add extra grapefruit zest to my bread and combine it with orange extract for an added burst of citrus goodness. If grapefruit is not your favorite flavor, you can easily change up the flavors to better suit your taste. Instead of grapefruit zest, you could add lemon zest and a couple handfuls of fresh blueberries like we did with our Lemon Blueberry Tea Bread, or add a bit of crunch with a generous scoop of poppy seeds for a Glazed Lemon Poppy Seed Tea Bread. 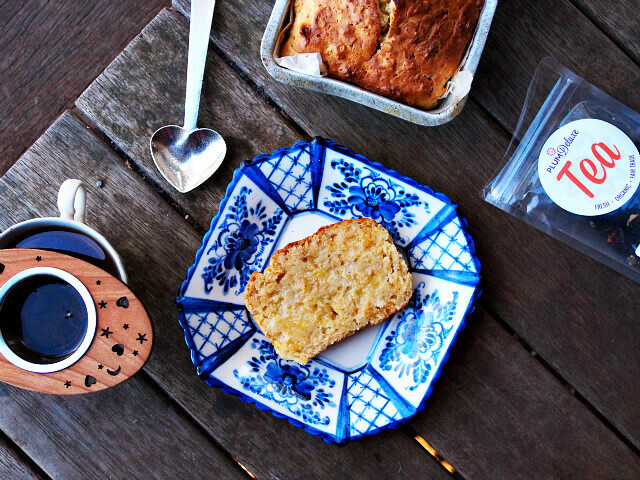 You could even turn to the banana, the beloved star of quick breads, and mix it with Earl Grey tea for an Earl Grey Banana Bread with tea-soaked raisins. I’m not a fan of super sweet breads, so I only use half a cup of sugar for the whole loaf. If you like your sweet breads extra sweet, add another half a cup of sugar. Since it’s a wet dough, you can also get away with using honey or real maple syrup as sweeteners without altering the structure of the loaf too drastically. Be sure to bake the grapefruit bread for the full 50-55 minutes to make sure that it is cooked all the way through to the middle. When it’s done, the top will be a rich golden brown with a firm crust. By letting it cool for 10-15 minutes, the bread will hold its shape well when you slice it. 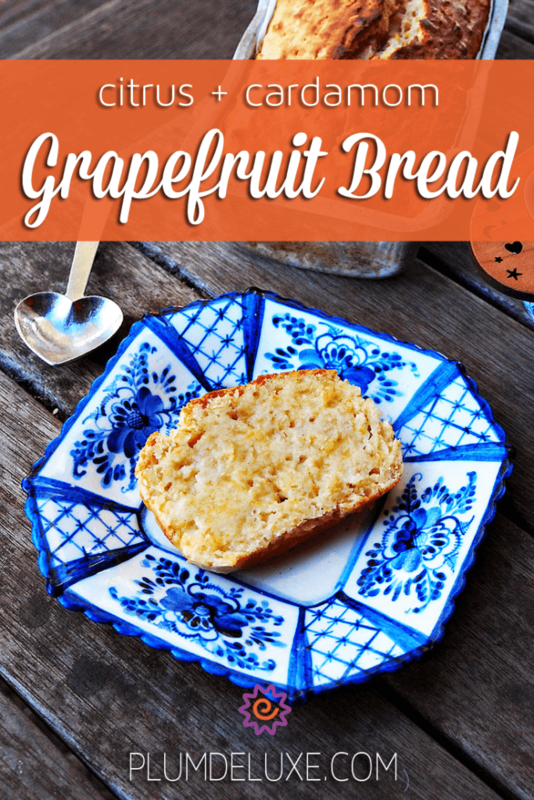 Grapefruit bread is ideal cut into thick slices and served warm or cold slathered with softened salted butter or a bit of heavy whipped cream with a hint of vanilla. After the first day or two, the bread is still divine when toasted and topped with a slice of a creamy cheese like havarti or fontina. This bread pairs beautifully with a variety of teas, and in summer it is scrumptious served alongside frosty glasses of iced tea. You can keep with the grapefruit theme and brew a large batch of Summer Breakfast Black Tea with zingy grapefruit, or embrace the spirit of summer with our Hammock Blend Black Tea flavored with a subtle orange creme reminiscent of creamsicles. 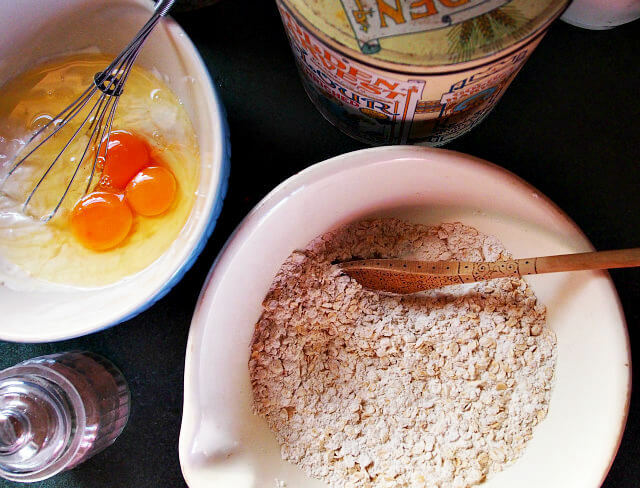 In large bowl, stir together flour, oats, baking powder, cardamom powder, and salt. In medium bowl, whisk together yogurt, sugar, eggs, grapefruit zest, extract, and melted butter. Add wet ingredients to dry ingredients, and stir together until just moistened. Pour batter into parchment-lined loaf pan and bake 50-55 minutes until golden brown or until toothpick inserted comes out clean. Cool loaf in pan for 10 minutes, then remove and cool completely on rack. Serve warm or cold with salted butter.